Ever since Alex Krizhevsky, Geoff Hinton, and Ilya Sutskever won ImageNet in 2012, Convolutional Neural Networks(CNNs) have become the gold standard for image classification. In fact, since then, CNNs have improved to the point where they now outperform humans on the ImageNet challenge! 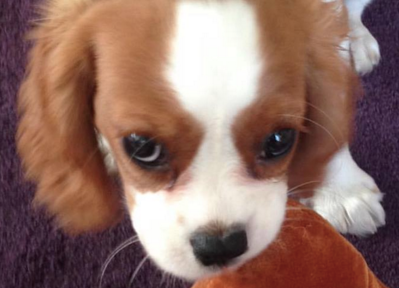 CNNs now outperform humans on the ImageNet challenge. The y-axis in the above graph is the error rate on ImageNet. While these results are impressive, image classification is far simpler than the complexity and diversity of true human visual understanding. An example of an image used in the classification challenge. Note how the image is well framed and has just one object. In classification, there’s generally an image with a single object as the focus and the task is to say what that image is (see above). But when we look at the world around us, we carry out far more complex tasks. Sights in real life are often composed of a multitude of different, overlapping objects, backgrounds, and actions. We see complicated sights with multiple overlapping objects, and different backgrounds and we not only classify these different objects but also identify their boundaries, differences, and relations to one another! In image segmentation, our goal is to classify the different objects in the image, and identify their boundaries. Source: Mask R-CNN paper. Can CNNs help us with such complex tasks? Namely, given a more complicated image, can we use CNNs to identify the different objects in the image, and their boundaries? As has been shown by Ross Girshick and his peers over the last few years, the answer is conclusively yes. 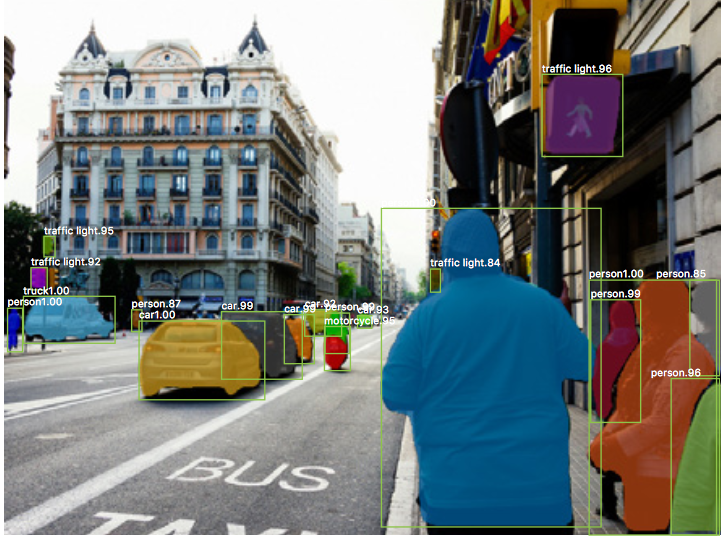 Object detection algorithms such as R-CNN take in an image and identify the locations and classifications of the main objects in the image. Source: https://arxiv.org/abs/1311.2524. To what extent do [Krizhevsky et. 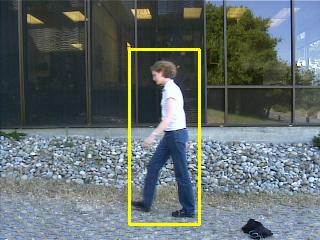 al’s results] generalize to object detection? This paper is the first to show that a CNN can lead to dramatically higher object detection performance on PASCAL VOC as compared to systems based on simpler HOG-like features. Let’s now take a moment to understand how their architecture, Regions With CNNs (R-CNN) works. The goal of R-CNN is to take in an image, and correctly identify where the main objects (via a bounding box) in the image. Outputs: Bounding boxes + labels for each object in the image. But how do we find out where these bounding boxes are? R-CNN does what we might intuitively do as well - propose a bunch of boxes in the image and see if any of them actually correspond to an object. R-CNN creates these bounding boxes, or region proposals, using a process called Selective Search which you can read about here. At a high level, Selective Search (shown in the image above) looks at the image through windows of different sizes, and for each size tries to group together adjacent pixels by texture, color, or intensity to identify objects. 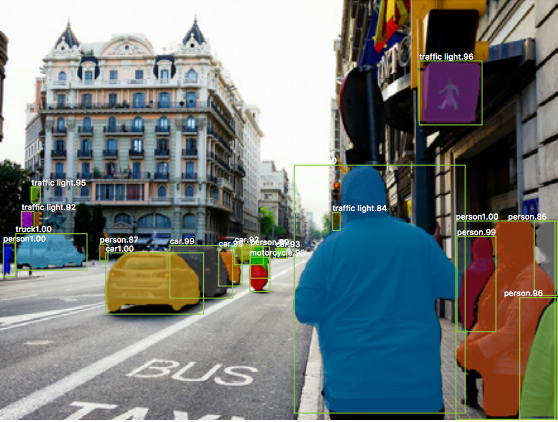 After creating a set of region proposals, R-CNN passes the image through a modified version of AlexNet to determine whether or not it is a valid region. Source: https://arxiv.org/abs/1311.2524. Once the proposals are created, R-CNN warps the region to a standard square size and passes it through to a modified version of AlexNet (the winning submission to ImageNet 2012 that inspired R-CNN), as shown above. On the final layer of the CNN, R-CNN adds a Support Vector Machine (SVM) that simply classifies whether this is an object, and if so what object. This is step 4 in the image above. Inputs: sub-regions of the image corresponding to objects. Outputs: New bounding box coordinates for the object in the sub-region. Generate a set of proposals for bounding boxes. Run the images in the bounding boxes through a pre-trained AlexNet and finally an SVM to see what object the image in the box is. Run the box through a linear regression model to output tighter coordinates for the box once the object has been classified. Ross Girshick wrote both R-CNN and Fast R-CNN. He continues to push the boundaries of Computer Vision at Facebook Research. It requires a forward pass of the CNN (AlexNet) for every single region proposal for every single image (that’s around 2000 forward passes per image!). It has to train three different models separately - the CNN to generate image features, the classifier that predicts the class, and the regression model to tighten the bounding boxes. This makes the pipeline extremely hard to train. 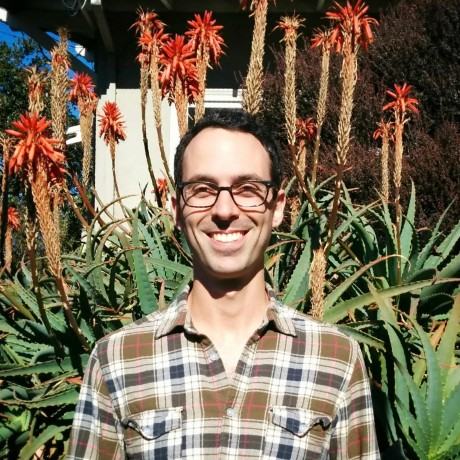 In 2015, Ross Girshick, the first author of R-CNN, solved both these problems, leading to the second algorithm in our short history - Fast R-CNN. Let’s now go over its main insights. For the forward pass of the CNN, Girshick realized that for each image, a lot of proposed regions for the image invariably overlapped causing us to run the same CNN computation again and again (~2000 times!). His insight was simple — Why not run the CNN just once per image and then find a way to share that computation across the ~2000 proposals? In RoIPool, a full forward pass of the image is created and the conv features for each region of interest are extracted from the resulting forward pass. Source: Stanford’s CS231N slides by Fei Fei Li, Andrei Karpathy, and Justin Johnson. This is exactly what Fast R-CNN does using a technique known as RoIPool (Region of Interest Pooling). At its core, RoIPool shares the forward pass of a CNN for an image across its subregions. In the image above, notice how the CNN features for each region are obtained by selecting a corresponding region from the CNN’s feature map. Then, the features in each region are pooled (usually using max pooling). So all it takes us is one pass of the original image as opposed to ~2000! 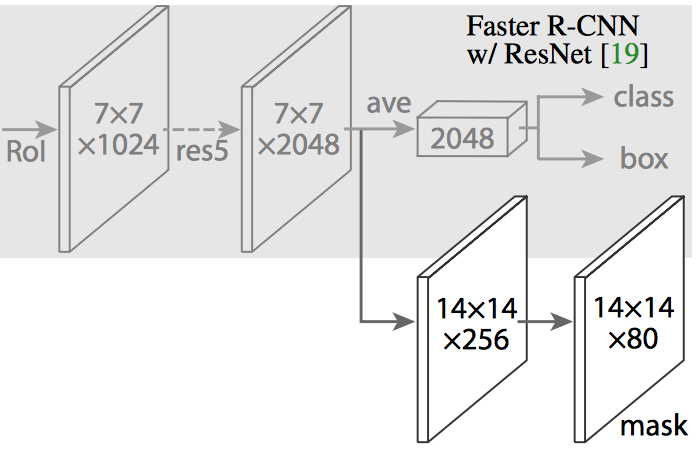 Fast R-CNN combined the CNN, classifier, and bounding box regressor into one, single network. Source: https://www.slideshare.net/simplyinsimple/detection-52781995. The second insight of Fast R-CNN is to jointly train the CNN, classifier, and bounding box regressor in a single model. Where earlier we had different models to extract image features (CNN), classify (SVM), and tighten bounding boxes (regressor), Fast R-CNN instead used a single network to compute all three. Inputs: Images with region proposals. Outputs: Object classifications of each region along with tighter bounding boxes. Even with all these advancements, there was still one remaining bottleneck in the Fast R-CNN process — the region proposer. As we saw, the very first step to detecting the locations of objects is generating a bunch of potential bounding boxes or regions of interest to test. In Fast R-CNN, these proposals were created using Selective Search, a fairly slow process that was found to be the bottleneck of the overall process. 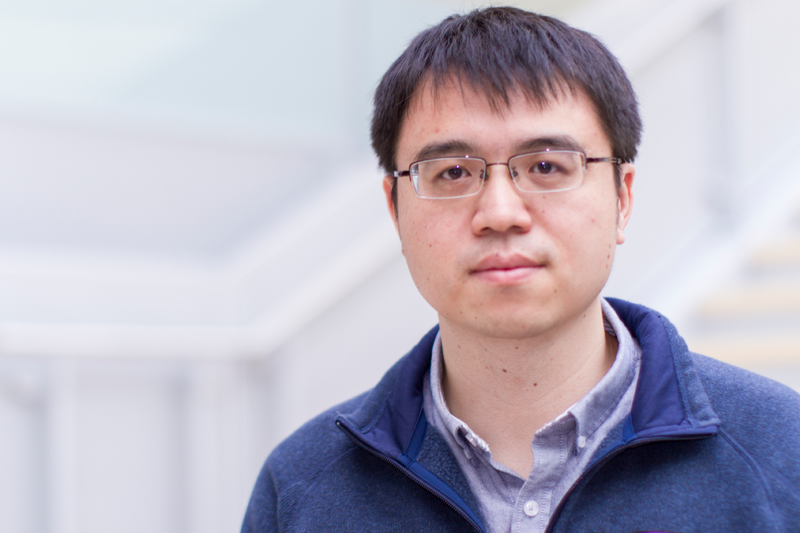 In the middle 2015, a team at Microsoft Research composed of Shaoqing Ren, Kaiming He, Ross Girshick, and Jian Sun, found a way to make the region proposal step almost cost free through an architecture they (creatively) named Faster R-CNN. The insight of Faster R-CNN was that region proposals depended on features of the image that were already calculated with the forward pass of the CNN (first step of classification). So why not reuse those same CNN results for region proposals instead of running a separate selective search algorithm? In Faster R-CNN, a single CNN is used for region proposals, and classifications. Source: https://arxiv.org/abs/1506.01497. 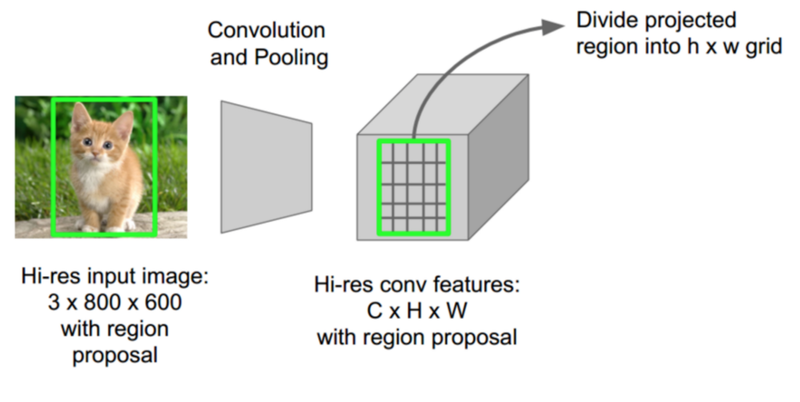 Our observation is that the convolutional feature maps used by region-based detectors, like Fast R- CNN, can also be used for generating region proposals [thus enabling nearly cost-free region proposals]. Inputs: Images (Notice how region proposals are not needed). Outputs: Classifications and bounding box coordinates of objects in the images. Let’s take a moment to see how Faster R-CNN generates these region proposals from CNN features. Faster R-CNN adds a Fully Convolutional Network on top of the features of the CNN creating what’s known as the Region Proposal Network. The Region Proposal Network slides a window over the features of the CNN. At each window location, the network outputs a score and a bounding box per anchor (hence 4k box coordinates where k is the number of anchors). Source: https://arxiv.org/abs/1506.01497. The Region Proposal Network works by passing a sliding window over the CNN feature map and at each window, outputting k potential bounding boxes and scores for how good each of those boxes is expected to be. What do these k boxes represent? We know that the bounding boxes for people tend to be rectangular and vertical. We can use this intuition to guide our Region Proposal networks through creating an anchor of such dimensions. Image Source: http://vlm1.uta.edu/~athitsos/courses/cse6367_spring2011/assignments/assignment1/bbox0062.jpg. Intuitively, we know that objects in an image should fit certain common aspect ratios and sizes. 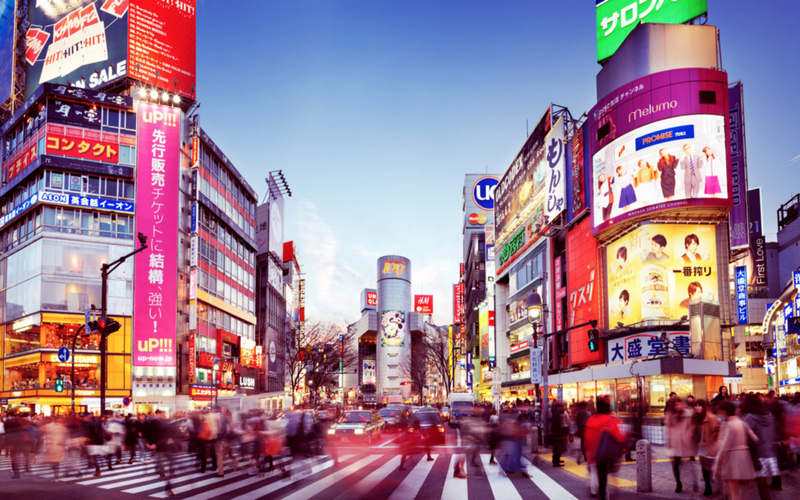 For instance, we know that we want some rectangular boxes that resemble the shapes of humans. Likewise, we know we won’t see many boxes that are very very thin. In such a way, we create k such common aspect ratios we call anchor boxes. For each such anchor box, we output one bounding box and score per position in the image. Outputs: A bounding box per anchor. A score representing how likely the image in that bounding box will be an object. We then pass each such bounding box that is likely to be an object into Fast R-CNN to generate a classification and tightened bounding boxes. The goal of image instance segmentation is to identify, at a pixel level, what the different objets in a scene are. Source: https://arxiv.org/abs/1703.06870. 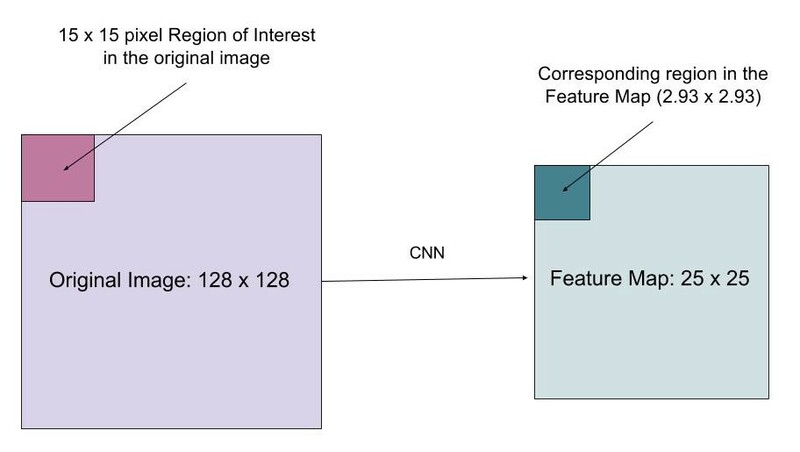 So far, we’ve seen how we’ve been able to use CNN features in many interesting ways to effectively locate different objects in an image with bounding boxes. Can we extend such techniques to go one step further and locate exact pixels of each object instead of just bounding boxes? 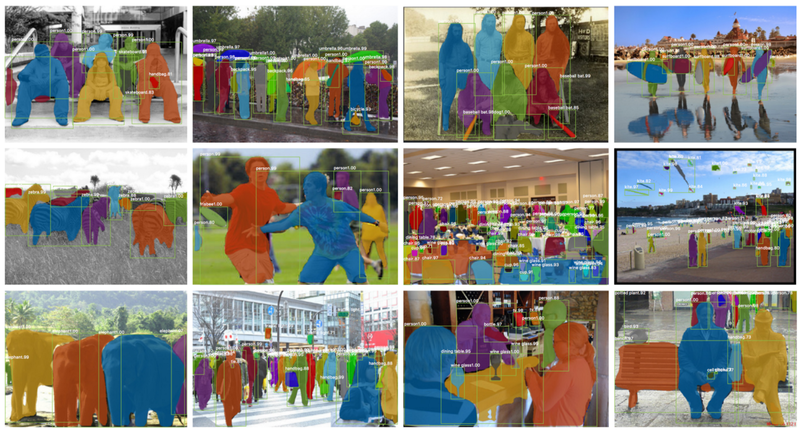 This problem, known as image segmentation, is what Kaiming He and a team of researchers, including Girshick, explored at Facebook AI using an architecture known as Mask R-CNN. 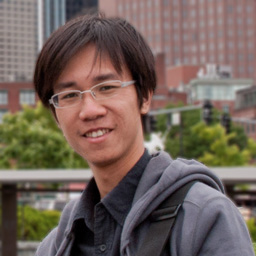 Kaiming He, a researcher at Facebook AI, is lead author of Mask R-CNN and also a coauthor of Faster R-CNN. Much like Fast R-CNN, and Faster R-CNN, Mask R-CNN’s underlying intuition is straight forward. Given that Faster R-CNN works so well for object detection, could we extend it to also carry out pixel level segmentation? 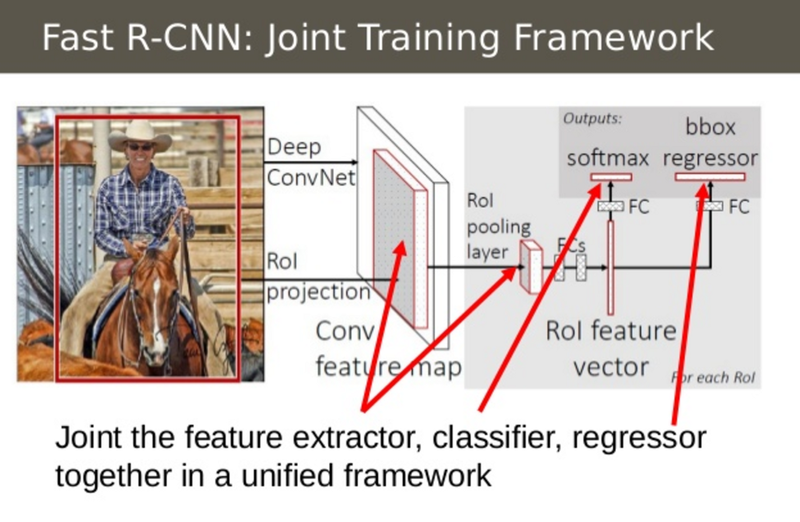 In Mask R-CNN, a Fully Convolutional Network (FCN) is added on top of the CNN features of Faster R-CNN to generate a mask (segmentation output). Notice how this is in parallel to the classification and bounding box regression network of Faster R-CNN. Source: https://arxiv.org/abs/1703.06870. Outputs: Matrix with 1s on all locations where the pixel belongs to the object and 0s elsewhere (this is known as a binary mask). But the Mask R-CNN authors had to make one small adjustment to make this pipeline work as expected. Instead of RoIPool, the image gets passed through RoIAlign so that the regions of the feature map selected by RoIPool correspond more precisely to the regions of the original image. This is needed because pixel level segmentation requires more fine-grained alignment than bounding boxes. Source: https://arxiv.org/abs/1703.06870. When run without modifications on the original Faster R-CNN architecture, the Mask R-CNN authors realized that the regions of the feature map selected by RoIPool were slightly misaligned from the regions of the original image. Since image segmentation requires pixel level specificity, unlike bounding boxes, this naturally led to inaccuracies. The authors were able to solve this problem by cleverly adjusting RoIPool to be more precisely aligned using a method known as RoIAlign. How do we accurately map a region of interest from the original image onto the feature map? Imagine we have an image of size 128x128 and a feature map of size 25x25. Let’s imagine we want features the region corresponding to the top-left 15x15pixels in the original image (see above). How might we select these pixels from the feature map? We know each pixel in the original image corresponds to ~ 25/128 pixels in the feature map. To select 15 pixels from the original image, we just select 15 25/128 ~= *2.93 pixels. In RoIPool, we would round this down and select 2 pixels causing a slight misalignment. However, in RoIAlign, we avoid such rounding. Instead, we use bilinear interpolation to get a precise idea of what would be at pixel 2.93. This, at a high level, is what allows us to avoid the misalignments caused by RoIPool. 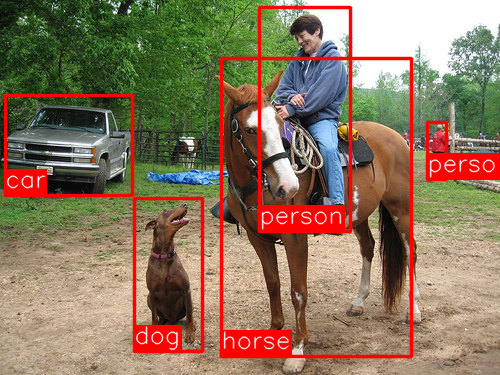 Mask R-CNN is able to segment as well as classify the objects in an image. Source: https://arxiv.org/abs/1703.06870.